Significantly increase LVMH Fragrance Brands' (LFB) share of voice in digital (EMV) and traditional media to defined levels. Facilitate growth on all retailer partner E-Retail platforms. Manage paid influencers/bloggers' networks and budget. Develop a strategy to maximize investment to get the greatest relevant coverage. Research internally and externally use of technology in business (with focus on cosmetics sector) and make recommendations to develop digital usage for LFB Canada. Create and monitor agreed company KPIs for digital media in conjunction with media agency research and reports on leading-edge digital media campaigns. Review competitive and retailer e retailing strategies and create and manage LFB E Retail marketing plan to increase e retail to defined level. Monitor LFB Canada, key competitive, and retailer activity on the internet and produce monthly report. Ensure that all retailers' websites are updated with current visuals and information. Research and review competitive and retailer e-retailing strategies and create and manage LFB E Retail marketing plan to increase e retail to defined level. Research and recommend strategies to take advantage of retailers' Omni channel customer growth. 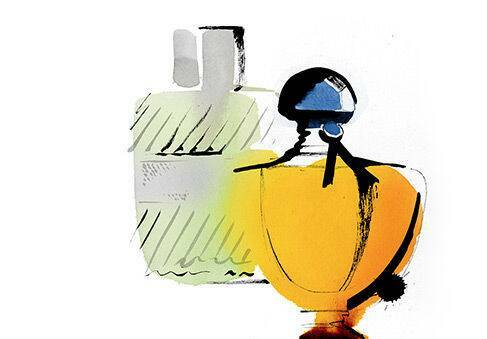 Monitor LVMH Fragrance Brands, key competitive, and retailer activity on the internet and produce monthly report. Create, implement, and measure digital initiatives to activate Givenchy and Kenzo customers and potential customers to purchase products form e retail sites and make visits to store. Research competitor brands' e retail platforms. Manage all company's social media platforms with input and response (currently Givenchy Facebook). Research social media platforms within and outside beauty category and recommend use for LVMH FB keeping within brand DNA and corporate direction. Plan and organize product launches, events (including travel and arrangements), and all new product media kits and mailers. Source unique, quality, and on-brand media gifts and new product launch items. Coordinate media interviews and special requests with spokespeople, perfumers, and specialists. Ensure that launches are sent in two phases: long-lead (3 months in advance) and short-lead (2-4 weeks in advance). Identify key media outlets, editors, and influencers; managing and updating database for accuracy and respond to daily media requests for PR product/needs. Act as contact for PR international teams for all brands and edit, translate, and adapt all press releases to the Canadian market. Participate in the forecast process and track PR pre-series quantities; oversee and plan storage and organization of all PR products and supplies. Source and negotiate with suppliers to obtain products and services for events. Write and produce PR presentations for Sales Conference. Oversee requests for special events, sponsorship opportunities, and charitable donations. Manage PR budget to defined level (pre-series, press kits, press gifts, and events). Create and update PR calendar and ensure it is aligned with local marketing calendars and international PR calendars.